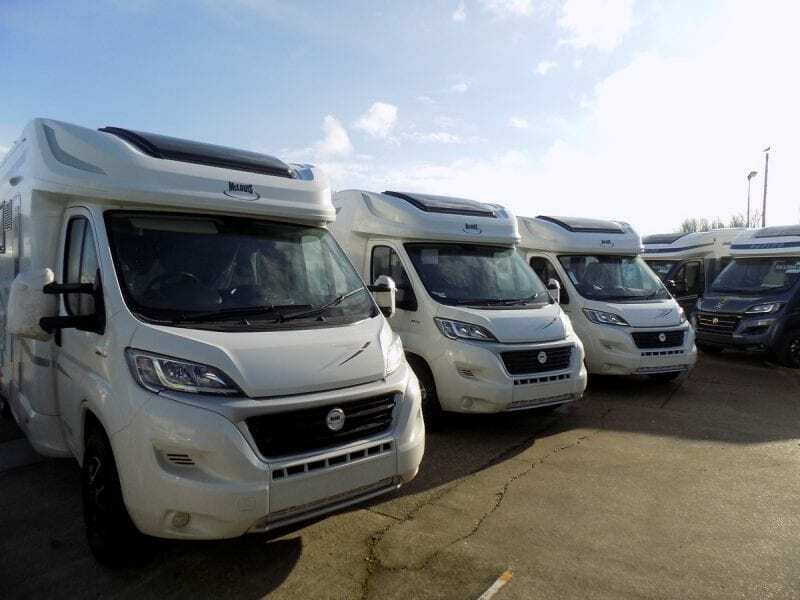 A great sight to see, as the first McLouis Fusions arrive Simpsons motorhomes in Great Yarmouth. Yes, it’s all systems go for the Norfolk based motorhome dealers, Simpsons motorhomes. As the first of many McLouis Fusions, arrives at the Simpsons motorcaravan centre. The very established motorhome dealers, announced last month, that they had been appointed a McLouis Fusion specialist dealers. Now, with the motorhomes arrival from Italy, it’s time to tell the customers all about them! It seems a very short time, from the announcement that Simpsons motorhomes, were to become McLouis Fusion dealers. So, the excitement builds as the McLouis Fusions arrive Simpsons motorhomes. With the first 4 of the 5 McLouis Fusion arrives in Great Yarmouth. Here we have the McLouis models, the 360, 367, 373 and 379 models arriving from Italy! Direct by transporter, to Great Yarmouth, So, the journey has just began for these highly sort after Italian motorhomes. New owners, no doubt will soon be found. Fibreglass roof 33 mm thick. Dealing with Simpson motorhomes, could not be easier. Being a long established motorhome dealer. Simpsons, have everything a customer could wish for. The services includes sales and full after sales. In addition, parts and motorhome accessories, are all available. The services also include, motorhome finance and part exchanges. Simpsons have been established Auto-Sleeper motorhomes dealers, for some time. McLouis and Auto-Sleeper are both part of the Trigano group, Trigano being the French, multi motorhome manufacturers. So, with the addition of Simpsons motorhomes. This adds even more experience, to the McLouis Fusion dealers. This brings expert help for customers. Therefore, to discover the McLouis Fusion range of motorhomes. Something, that Simpsons are looking forward to demonstrate, are the fixed bed layouts with the rear garage space. The real added bonus, of the McLouis Fusion range, is the ability to upsize or downsize the chassis. The latter allows the motorhomes to be driven on a standard UK driving licence. Also, with the Fiat cabs you get many good features. In addition, there are other specification enhancements. To celebrate the launch of the McLouis Fusion range. Simpsons motorhomes are able to offer the McLouis Fusion lux pack for FREE! This just enhances the specification even further. The friendly sales staff, will be happy to explain the details to customers. Suffolk Road, Great Yarmouth, Norfolk. NR31 0LN. With that Italian motorhome style and finish, the McLouis Fusion excels. The interior finish is of a high standard on all 5 models. The fixed bed layouts are complemented by 4 berths and 5 travelling seats, with seat belts on 4 of the models. The Simpsons motorhomes location, provides that coastal holiday feeling. Great Yarmouth and the sea air, all go hand in hand with the thought of motorhome holidays. So, what better than an Italian motorhome, to tempt any customer? Going Going Gone 8 Left!